Every moment of my internship with Marine Hope Conservancy has been incredible. I was in Port Elizabeth for around 3 weeks which at first I thought was enough time but I soon wished I could have stayed for longer. Right from the beginning we were on the boat with Raggy Charters and was learning about the current project that was being worked on as well as the environment around me. After the first trip out to sea, I knew that the next three weeks ahead of me were going to be unforgettable. The current project we were working on was to determine the species diversity and abundance in Algoa Bay. Each time we were on the vessel we would drop the BRUVS (Baited Remote Underwater Video System) to capture the life that was below. Once we had the footage we would have to analyze the data for what species were seen. I loved analyzing the data. Each new video was a present, you never knew what was going to come up on the video. This research is phase 1 of Kerry’s project which will in the future help discover and protect a species that is data deficient or endangered. 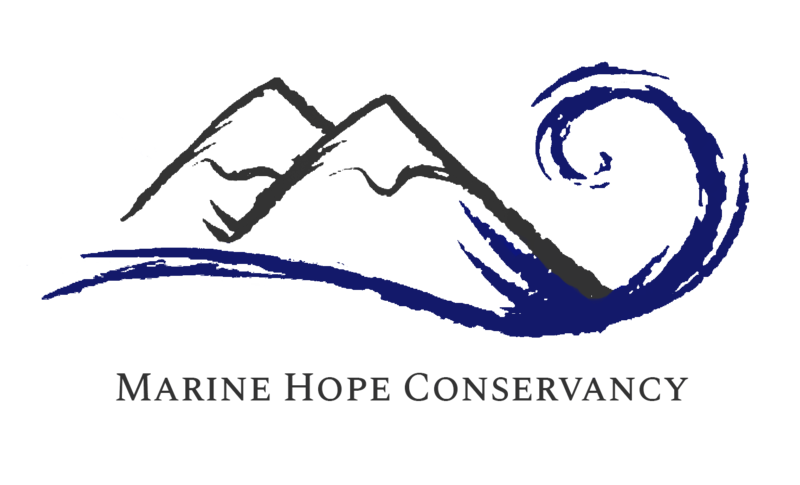 Community outreach is important to Marine Hope Conservancy. By promoting citizen science projects to helps educate the community of Port Elizabeth and hopefully become involved with protecting their marine environment. The project we worked with was the ELMO Project (South African Elasmobranch Monitoring). This citizen science project is to collect mermaid purses, sharks and skates, along the beach and document them to further learn information about the shark and skate population and distribution. During the first Welcoming the Whales festival, put on by Raggy Charters, we gave beach tours with a children’s activity. The activity was to find objects on the beach, the mermaid purses were worth the most points to encourage the kids to collect the cases. After the festival, we logged all the case, we logged just over 200 cases which was incredible! This day really helped me open-up more, I was very quiet and doubted myself at first but Kerry encouraged me, as the day went on I felt more confident to talk to guest about the project. I have truly learned every aspect of what research is all about. Towards the end of the program I had the opportunity to right a report on the application of the BRUVS in Algoa Bay. Being able to experience the research, outreach, and publication aspects of research gave me the experience and knowledge to know what a career in research entails. Furthermore, getting the chance to do a beach survey with Bay World on the largest sand dunes in the world was unforgettable. The dunes are so beautiful and I became awe struck being able to drive on the beach to do a standing survey. Another one of my favorite parts of the trip was being able to work with SANCCOB seabird hospital. There is something so rewarding about being able to help release a rehabilitated animal back to their home as well as with save penguins that have been injured. I did not only work the whole program, I got to experience Port Elizabeth and the Eastern Cape. I didn’t do much research about things to do in Port Elizabeth before I came, I wanted to know what the local people loved to do. Kerry was so helpful in knowing the best places to see. My trips to Tsitsikamma National Park and Addo Elephant nations parks with Kerry were so much fun and I am so thankful I got to experience them. South Africa is one of the most beautiful places I have ever been to and if you love the outdoors there is so much for you to explore. The knowledge I have gained from this experience truly will help me become a better conservationist in my future career. Kerry has been the best mentor and role model. You can see how much she cares about the environment around her and her passion flows into the work that she does. She knows so much about research and the Port Elizabeth area. No matter what she would help me with whenever question I had. Kerry is such a genuine person and I have loved getting to know her every day. Not one day here in South Africa has been dull. Every day was hands work that gives you the idea of what the life of a research is all about. Learning about the project that she was working on and how it connected to so many different things was really eye opening. Working on the boat with the Raggy Charters crew was great. You can see how close everyone is it is like one big family that is always there watching out for each other. Each day on the boat was something completely different from the last which I loved. The bottlenose dolphins were always so great to watch milling along the islands or shore. I have a soft spot for so many of the sea bird now, my being the Arctic Skua. Lastly, I had been waiting the whole program to see humpback and southern right whales and finally on my last trip with Raggy Charters to Bird Island for a fish survey we saw what seemed to be an endless number of humpbacks breaching as well as a couple southern rights swimming alongside the boat. I couldn’t have asked for a better last trip to sea. There were always new surprises and new things to learn. I am so sad my program ended the only thing I would have changed was that I wanted to stay longer. I made many unforgettable memories, gained several friends who I will miss dearly, and furthered my knowledge for my future career.